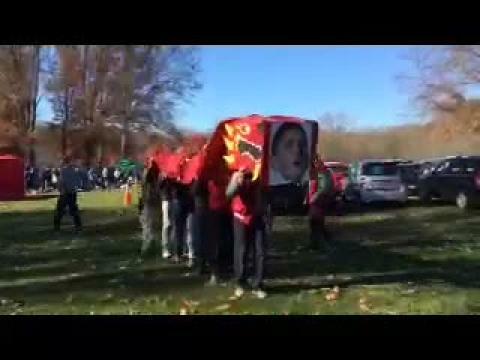 We saw plenty of flags, costumes, signs, and cheering at Groups and the Meet of Champions. While the athletes settled it on the course lets see who was the best at supporting them. Keep it here for coverage from the NJSIAA Meet of Champions at Holmdel Park! We picked the top 20 individuals and the top six teams for the meet on Saturday. 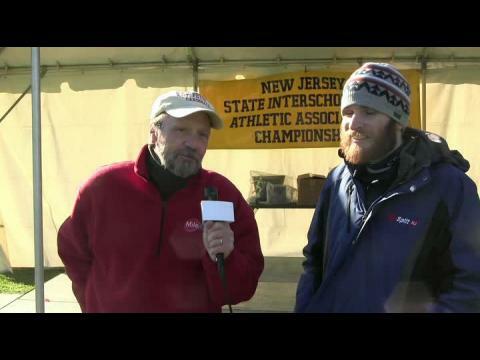 Here are highlights from the boys championship at the NJSIAA Meet of Champions. We get a glimpse of the mile and two mile leaders before skipping to the finish. If you follow our videos normally we record the entire field but we are limited to 3 minutes of highlights at the state meets, thank you for your understanding. Enjoy the show! If you would like to support our coverage as well as gain access to rankings, career stats, photos, videos and more you can support us through MileSplit Insider found on the site menu. A last look at the action from the 2015 Meet of Champions. 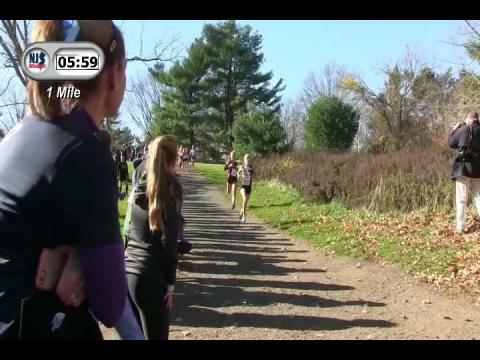 Here are highlights from the girls championship at the NJSIAA Meet of Champions. We get a glimpse of the mile and two mile leaders before skipping to the finish. If you follow our videos normally we record the entire field but we are limited to 3 minutes of highlights at the state meets, thank you for your understanding. Enjoy the show! If you would like to support our coverage as well as gain access to rankings, career stats, photos, videos and more you can support us through MileSplit Insider found on the site menu. Here are the 2015 Meet of Champions Wildcards! Congratulations to all that advanced. Recaps for each Championship, their advancing athletes and teams, race videos, and more! Everything you need to know for the biggest meet of the cross country season. We have results back to 1989 for the boys, here are the top 500 since then! The champions have been crowned and this was our senior athlete's last high school cross country race on New Jersey soil. Lets take a look at squads that will be returning intact next year. We have the data so let's take a look at the possible returning athletes and team makeups for 2016 Groups! The truly gifted appear to be created in a high-tech lab; born of the latest science and space age materials. Everything about them is precise, creating an efficient stride that appears to flow like water. The meet of champions brought some awesome sights, including a dragon. The meet programs for the 2015 MOCs this Saturday at Holmdel. There will be an adjustment to the entry process for the state xc Groups and MOC. This will be a one year pilot. Here are the top 500 fastest boys since 1989 at the Meet of Champions. We have results back to 1997 entered for the girls Meet of Champions. Here are the fastest 500 since then. Here are the fastest 500 athletes at the Group Championships since the year 2000. Taking a look at the 100 non-graduating athletes from Saturday's Meet of Champions race. 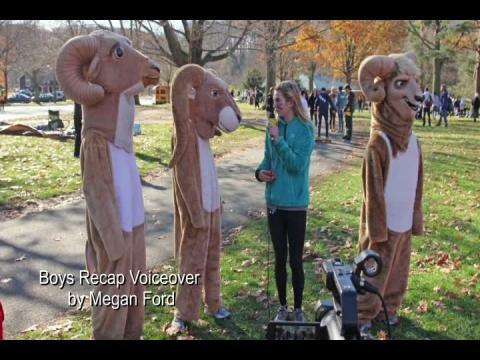 A voiced over video recap of the NJSIAA Meet of Champions. A look at the 122 non-graduating girls from the Meet of Champions. We wish the best of luck to all the teams already working hard and hoping to make it to this point in 2016. 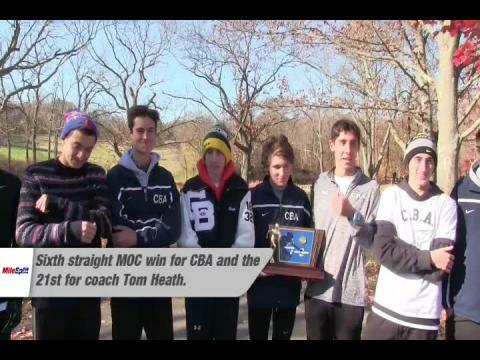 We caught up with the CBA boys after their sixth straight MOC title. The top 500 fastest girls since 1997 at the Meet of Champions. 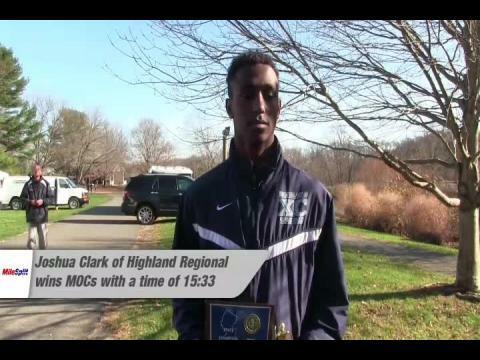 Joshua Clark of reflects on his win and great season so far. 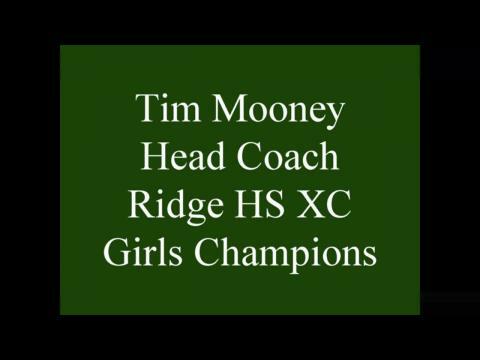 122 girls in total will be returning this season from last year's state championship. 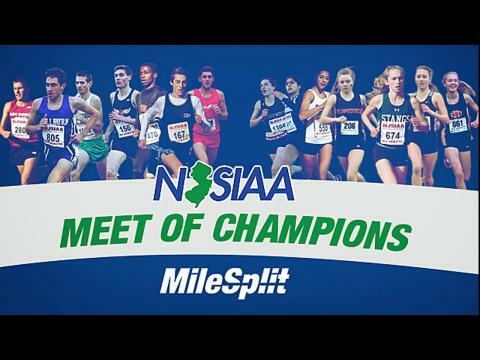 NJSIAA Approves Awards Ceremony Stage for Group Championships and Meet of Champions! Entry deadlines for the state meets are fast approaching, make sure you are set. Three additional boys have been added! Some major changes to the top ten this week! A new number one and two non-ranked teams join in. Groups created a lot of moves in the poll. So many photos. Major thanks to our photographers who did a great job as always! 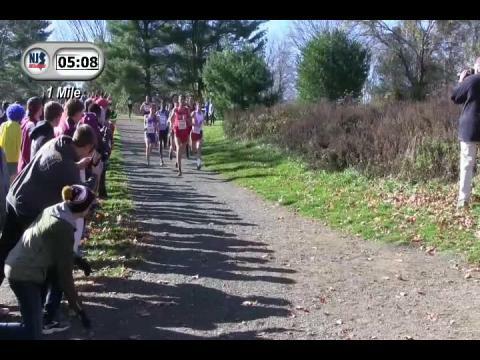 Watch the highlights from the mile, two mile, and finish recorded at the Meet of Champions! Just the first of a few albums from the Meet of Champions. 271 photos capturing the start and finish of the races. Over 300 photos from the mile and two mile at the Meet of Champions on Saturday.